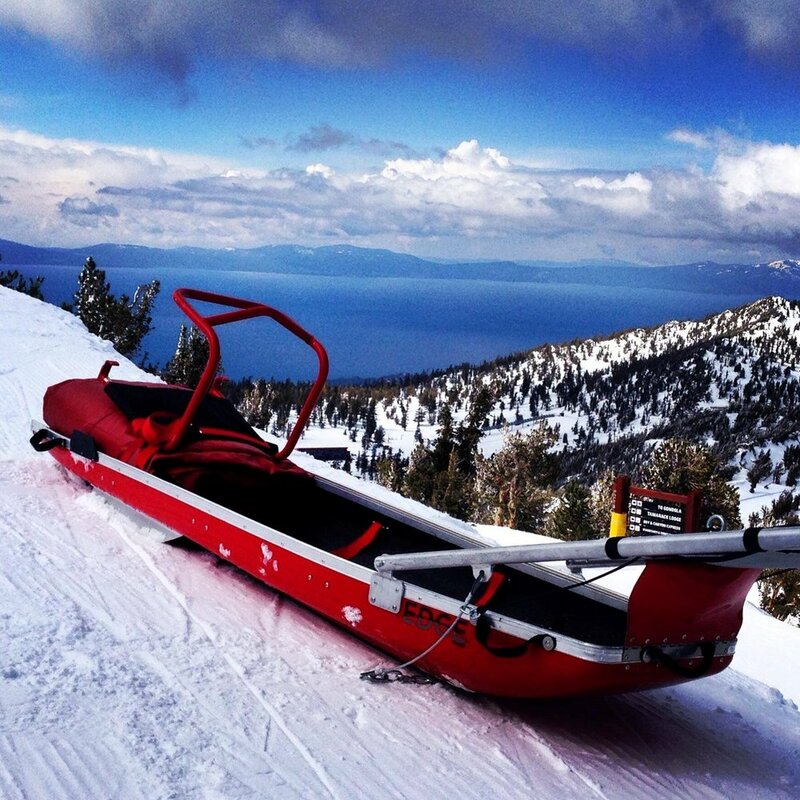 Our ski patrol rescue toboggans use the latest in early-rise technology found in most rocker skis. Along with our concave hull belly and UHMV Polyethylene runners, our sleds fly on the flats and float in powder and crud. Wet laid fiberglass and Kevlar, a thick durable gel coat, and heavy duty polypro web lifting handles, help keep the EDGE's hull extremely durable and lightweight. Marine-grade aluminum handles and skegs round out our commitment to producing the lightest, safest, ,strongest, and fasted rescue sled available. Includes the OTF (on the fly) chain retrieval system. *For resorts that see more icy conditions we offer longer skegs. Contac us for more details.